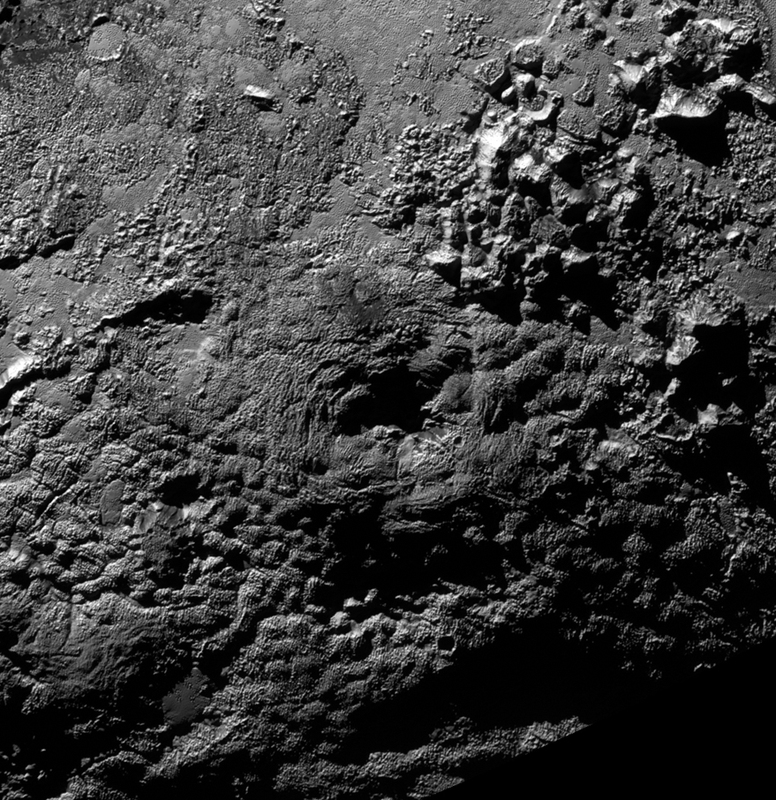 November 10, 2015 – From possible ice volcanoes to twirling moons, NASA’s New Horizons science team is discussing more than 50 exciting discoveries about Pluto at this week’s 47th Annual Meeting of the American Astronomical Society’s Division for Planetary Sciences in National Harbor, Maryland. 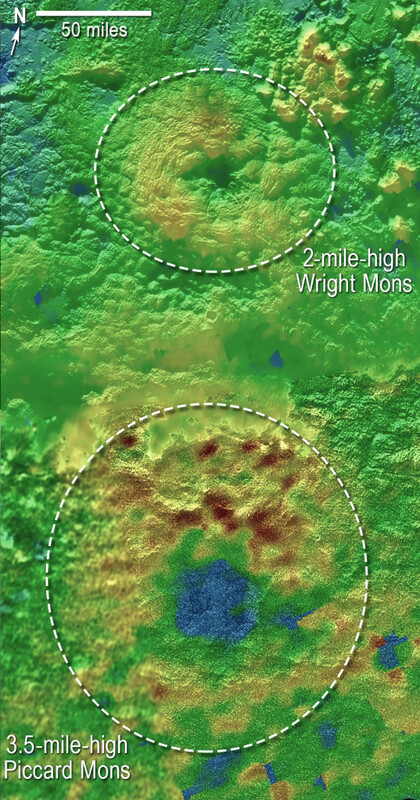 The two cryovolcano candidates are large features measuring tens of miles or kilometers across and several miles or kilometers high. Pluto’s surface varies in age — from ancient, to intermediate, to relatively young –according to another new finding from New Horizons. This leads New Horizons scientists to doubt a longstanding model that all Kuiper Belt objects formed by accumulating much smaller objects –less than a mile wide. 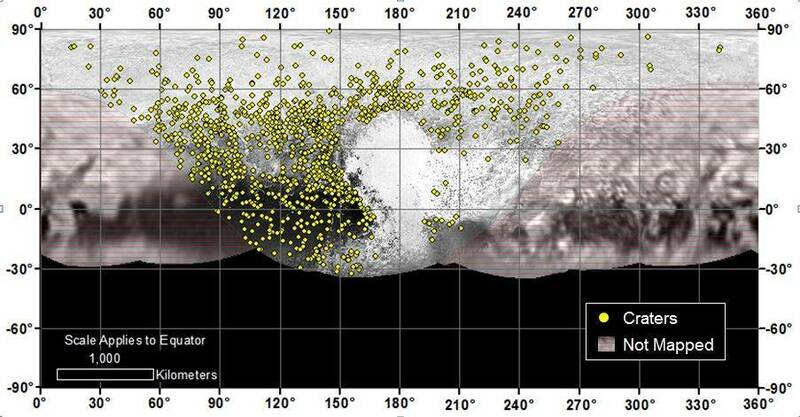 The absence of small craters on Pluto and Charon support other models theorizing that Kuiper Belt objects tens of miles across may have formed directly, at their current — or close to current — size. In fact, the evidence that many Kuiper Belt objects could have been “born large” has scientists excited that New Horizons’ next potential target — the 30-mile-wide (40-50 kilometer wide) KBO named 2014 MU69 — may offer the first detailed look at a pristine, ancient building block of the solar system. Another oddity of Pluto’s moons: scientists expected the satellites would wobble, but not to such a degree. 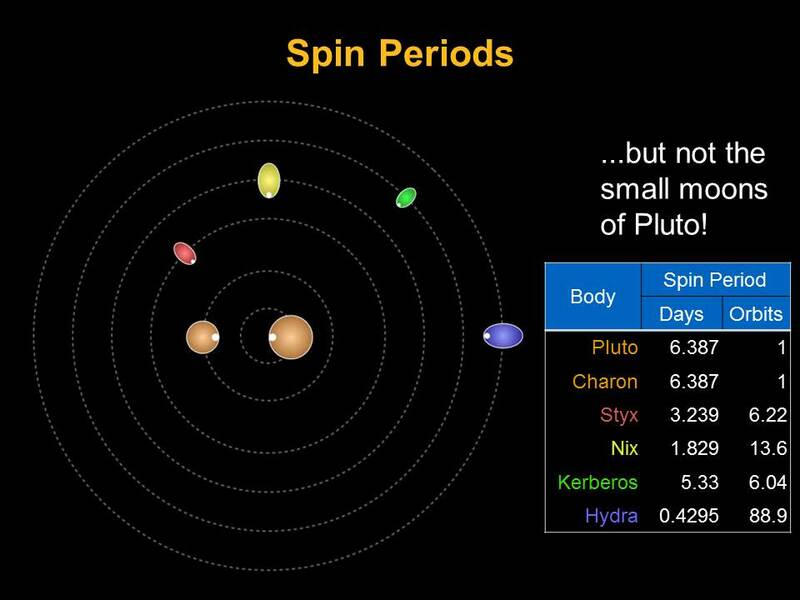 “Pluto’s moons behave like spinning tops,” said co-investigator Mark Showalter of the SETI Institute in Mountain View, California. 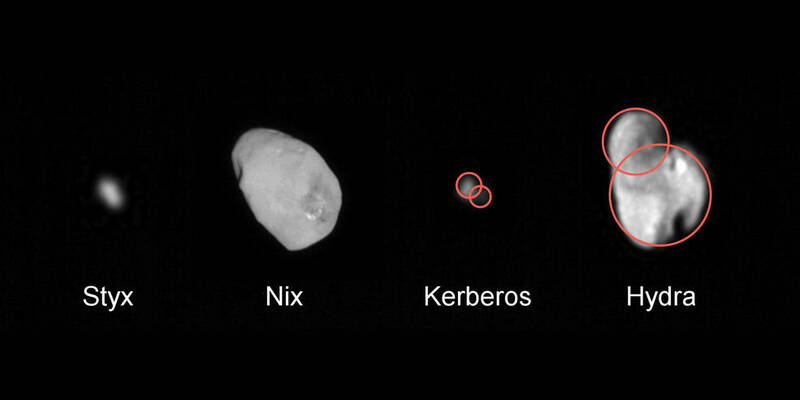 Images of Pluto’s four smallest satellites also indicate several of them could be the results of mergers of two or more moons. “We suspect from this that Pluto had more moons in the past, in the aftermath of the big impact that also created Charon,” said Showalter.